Digital marketing techniques have become an integral part of organisations’ marketing strategies, generating demand for graduates who can make effective use of new and emerging platforms. On this specialised masters degree, taught in only a few UK universities, you’ll have the opportunity to focus on digital marketing concepts and techniques, and gain an understanding of the technologies that underpin them. You’ll develop your skills through real-world marketing projects and simulated business exercises. In addition, there are plenty of opportunities outside the course to practise your skills and grow your networks. One example is the innovative Digital Champions initiative, through which you could undertake paid digital projects on behalf of the University. You’ll be taught by academics who are active researchers with links to the University’s Web Science Institute, a world-leading centre for interdisciplinary web research. Their expertise ensures the course reflects the latest developments in the field. Digital marketing techniques have become an essential element within organisations’ marketing strategies, creating a demand for graduates with an understanding of the latest trends and techniques in this area. This specialised MSc in Digital Marketing will give you the knowledge and practical techniques that employers in a wide range of sectors are looking for. The course reflects the latest thinking in the field, informed by expertise within the Business School and our cross-disciplinary links with the University’s Web Science Institute, a globally renowned centre for Web research. The curriculum is regularly updated to keep pace with new developments. We emphasise a critical approach to marketing that will stand you in good stead throughout your career. For example, you’ll be encouraged to evaluate whether emerging digital trends are likely to stand the test of time, and how your marketing activities will impact on your business and consumer stakeholders. We also encourage you to consider how marketing principles can be harnessed for the benefit of society as a whole. Throughout your time with us you’ll be encouraged to set up blogs, contribute to the course Facebook group and work on your own online profile and networks. This will give you experience of building an online community, using principles that you can apply within a business. Learning about the effective use of platforms such as Twitter can also enhance your career prospects, as employers are increasingly using these networks to identify potential recruits. 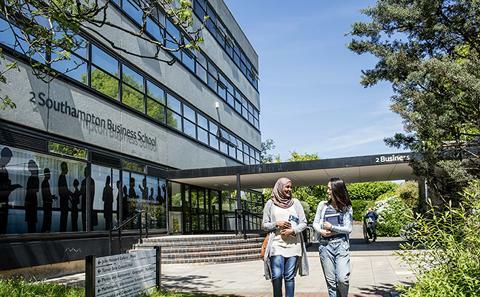 This masters programme will suit graduates who have undertaken some marketing or business studies and who want to gain more specialist skill, or those with professional experience in a digital or marketing field who want to update their knowledge and advance in their career, or change their career direction. We attract talented students from many different countries, so you’ll learn about diverse cultural perspectives on digital issues. This is a full-time, one-year course. During the first nine months you’ll take a number of taught modules; the final three months will be spent undertaking independent research and writing up your dissertation. You’ll also learn about the design and management of research projects, preparing you for your dissertation and developing skills that you can use in the workplace. The dissertation is an opportunity to study an area of interest in more depth and can be academic or practical in nature. For example, you could look for a relevant real-world project within a local organisation, such as the development of an online marketing campaign. As part of the Marketing Communications and Media Management module you’ll work on a live marketing agency brief, working with an organisation on a real project. For example, students have looked at ways in which organisations with small marketing budgets, such as charities, can make the most of social media to get their messages across. The Web Applications module includes a simulated website tender process. This team exercise involves taking on the role of web consultant and interviewing an academic who will play the part of a potential business client. You’ll then analyse their requirements and prepare and pitch a commercial proposal. You’ll learn basic web programming skills, giving you an understanding of the underlying technologies and steps involved in developing successful web applications. In the Web Analytics module you’ll learn to use Google Analytics – a useful skill to add to your CV. The University offers a wealth of additional opportunities for you to learn new skills and put your knowledge into practice. Our Digital Champions programme offers paid opportunities for students to use their digital skills on behalf of the University. This could involve running workshops on topics such as blogging, using Twitter or staying secure online; helping students or academics set up and manage their online profile; or making videos to promote Business School events. As a digital marketing student you’ll be ideally placed to take part; you’ll gain hands-on experience and learn new skills that will enhance your CV. You can engage with students on the Business School’s digital marketing MOOC (massive open online course), which runs at the same time as your introductory modules. It will give you access to a global online community of around 15,000 students, enabling you to discuss the concepts and practices you are learning about and build a worldwide network. Students are also invited to attend and contribute to regular events organised by the University’s Web Science Institute, a world-leading interdisciplinary centre for Web research and education. 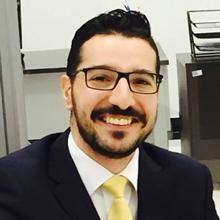 Programme leader Dr Ioannis Krasonikolakis has been building strong links with businesses through several research projects related to web atmospherics, consumer behaviour in retailing, and user experience in retail banking, all of which which are reflected on his course 'Retailing in the Digital Age'. Dr Dina Rasolofoarison's research interests include visual communication, advertising and media reception, cultural practices, and consumer research. 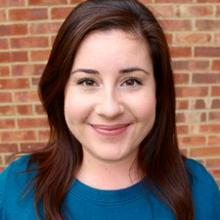 She leads the Building Customer Insight module. Dr Cheng-Hao Steve Chen's research explores the way concepts of self influence the purchasing choices of people in different cultures. He leads the Designing and Managing Research Projects module. Dr Mike Molesworth's research provides critical input to the course over three modules, teaching on aspects of online consumer culture and marketing. A specialised digital marketing masters degree, only taught in a handful of UK business schools. Constantly reviewed and updated to reflect the latest developments in this rapidly changing field. A hands-on approach to learning; for example you’ll undertake a real business marketing project and a simulated consultancy exercise. Informed by the professional and research expertise of Business School academics and cross-disciplinary links with the University’s renowned Web Science Institute . The MSc course is a well-crafted one-year plan of study that will smooth your way into today’s digital-friendly world! The programme offered a more forward-thinking view of the marketing profession that I felt would be invaluable when it came time to start my career. 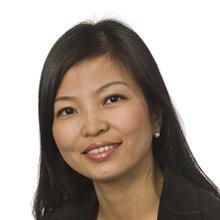 Dr Fenfang Lin is Lecturer in Marketing at Southampton Business School since December 2014. She holds a PhD in Marketing from the University of Edinburgh, and an MBA from IUCTT, Malaysia. She is a Fellow of the Higher Education Academy (HEA). Whether you are looking for your first job when you graduate, or want to advance your existing career, the MSc in Digital Marketing will equip you for success in a range of sectors. You might choose to work within a company’s digital marketing team, or take on a consultancy role. Or you could use your professional marketing skills to help grow a small enterprise or family business. Graduates have gone on to work for organisations such as Hootsuite, EDF Energy, L’Oreal, ROKE and McCaan. The course is delivered through lectures, small-group seminars and computer lab sessions, alongside which you’ll undertake your own reading and individual study. Our academics use a variety of interactive learning methods, such as group discussions, case studies and problem-solving activities. You’ll also be encouraged to practise your digital skills by writing blog posts and taking part in online discussions. You’ll regularly work in groups, which will help you to develop vital team-working skills. Some modules include talks by visiting speakers from industry, who can give you an insight into digital marketing careers and current issues in the industry. Speakers include former Southampton graduates who have gone on to work in digital roles for organisations such as Microsoft and the National Trust. Assessment methods vary by module, but will include exams, group assignments and individual coursework, as well as marketing blog posts, and reflective reports that encourage you to assess your own learning practices. We aim to stretch your intellectual abilities, offering plenty of support to help you keep your studies on track. You’ll be learning in an informal, friendly environment, and regular meetings with your personal academic tutor provide an opportunity to ask any questions you may have about the course. There are also numerous University services that offer advice and support in a range of areas, from study skills to CV writing.